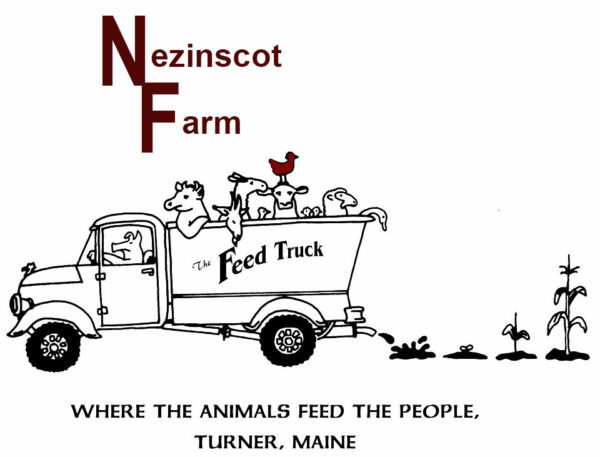 Nezinscot Farm Store has been providing seasonal food to the community for over 20 years and catering on the farm and private events from the very beginning. With a wide variety of seasonal food, baked goods, and pastries that we provide and will work with you to make your event perfect. We offer three dinner options available when booking an event with us, specializing in “One Big Table” buffet style catering and the food is all you can eat! Dinner is buffet style and we can prepare a menu that is suitable for vegetarians, vegans and meat lovers alike. Dessert: Usually a large fruit pie or cake with fresh whipped cream and seasonal fruit. From sandwiches and soups to pizza and salad. We make a luncheon meeting worth attending! Vegetarian & gluten-free options. Hearty sandwiches and wraps are always cut in half. Sandwiches are $9 wraps are $8 each. Toppings change seasonally. $35 for large pizza serves 15 – 20 and $20 for 1/2 sheet which serves 10 – 12. Salad selection changes with the seasons. Large Salads are $30 and serve 20+ easily. Individual servings at eat in and for bagged lunches are $2 each. Soups change seasonally. Crockpots serve 25+ and are $40. Individual servings for eat-in catering are $3 each. Your choice of sandwich or individual salad, potato chips, fresh fruit, housemade cookie and a beverage tucked into a small Nezinscot Farm Bag handled bag. From garden parties, bridal showers, birthdays, tea parties and much more, we’ve catered them all. These events are 100% customizable and we suggest setting up a consultation to determine the menu, decoration, and other details. All served from our tea house and back garden during the summer months. We have a large selection of sizes from 8″ round to large 18″ x 24″ sheets. We can do tiered cakes, decorations and much more. Prices range from $15 to $80. We can help start your morning meeting off right with custom breakfast pastry platters. Regular platters are $3 each or a mini platter at $2 each. Everything we do is handcrafted and customizable to your catering needs. Send us a note with your vision and what you’re looking for, and we’ll help make it happen.